Home »General Life»A Big Blue Box in Times Square? 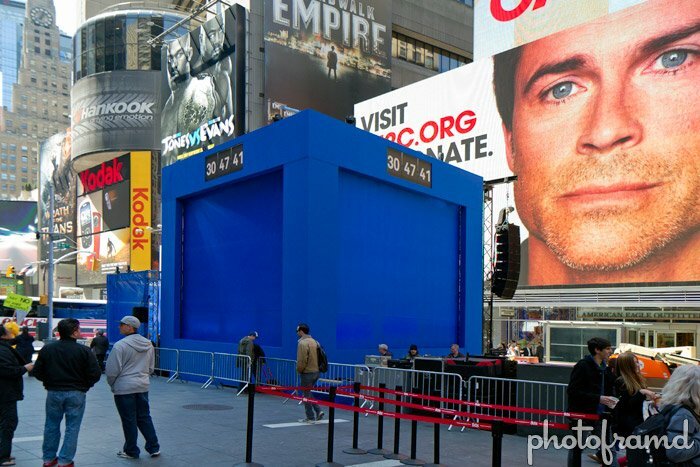 A Big Blue Box in Times Square? I was walking through Times Square around Noon today and noticed this Big Blue Box with an ominous countdown. Is the Mayan Apocalypse early? Since the 2012 Auto Show starts tomorrow, I am guessing someone will debut a car here Friday afternoon. Update 4/8/2012 – Turns out the box was for Nicki Minaj who launched Nokia’s new Lumia 900 smartphone (using Windows Phone 7). You can see the video on YouTube of her singing Starships.